All things HALLOWEEN in Huntington Beach! Halloween time has arrived here in Huntington Beach! Tis the season for your boys and ghouls to celebrate all things pumpkin spice and everything nice…and maybe a little spooky too. 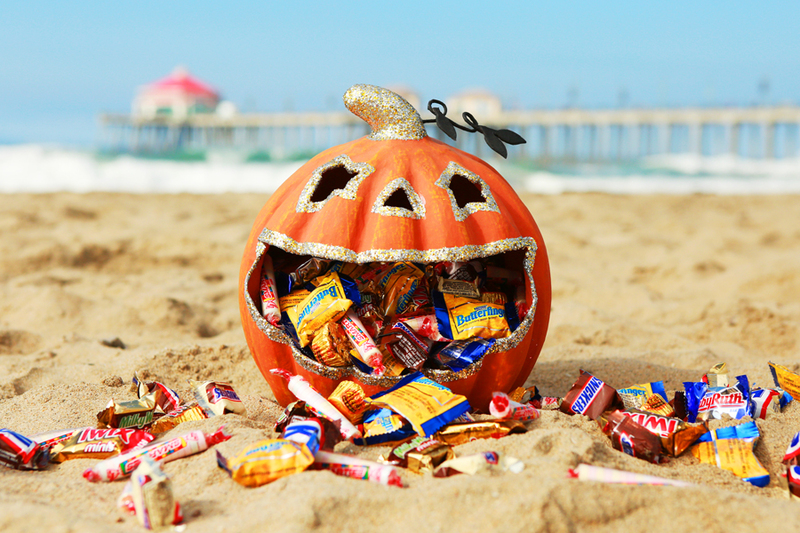 We’ve rounded up All things HALLOWEEN in Huntington Beach! From pumpkins, costume contests, haunted houses, and everything else you need to gear up to get your trick or treat on. Hope you enjoy this list! Happy Hauntings! FREE Pumpkin Patch – October 6 (11:00am – 2:00pm) at HB Church 8121 Ellis Avenue. Come enjoy a FREE pumpkin, bounce houses, games, prizes and food! All proceeds go to help the victims of CA Wildfires. FREE Pumpkin Patch Festival by the Coldwell Banker – October 13 (10:00am – 3:00pm), 1720 PCH (corner of 18th St) in Downtown Huntington Beach. Every child gets a FREE pumpkin! There will be a giant pumpkin contest, carnival games, face painting, balloon creations, pumpkin decorating, a Photo Booth and more! All proceeds go to the Huntington Beach Police & Community Foundation. Bring a wagon to carry your pumpkins home and no pets allowed. Beachfront Cinema – Nightmare Before Christmas – October 20 (11:00am gates open, movie starts at 6:30pm) – Kids wear your costumes and come to the only pumpkin patch on the beach! Pick out a pumpkin and enjoy a costume contests, arts and crafts and many other Halloween festivities! While waiting for the movie enjoy premier seating for the Great Pacific Airshow! Enjoy this LAST movie of the season. Purchase tickets HERE. Halloween Pumpkin Carving and Costume Contest – October 27 (6:00pm – 8:00pm) at the City Gym Huntington Beach – $20 per family (includes a pumpkin and carving kit and refreshments, additional pumpkins $5 each). Calling all ghouls, ghosts and goblins for a Halloween pumpkin carving and costume contest inside the spooky City Gym and Pool. Dress up in your scariest costume and get ready to make a jack-o-lantern come to life! Register in Advance HERE. Halloween Costume Surf and Cleanup – October 27 (surf 9:00am – 11:00am / clean 11:00am – 1:00pm) at Tower 17 in Huntington Beach. Come surf in costume and win a prize for best costume! After you surf join in on cleaning up our beaches. Parking is free for the event. Mention Pelican Crew Clean up at gate. Happy Hallowiener Doggie Dressup & Races and Kids Costume Day – October 28 (2:00pm- 7:30pm) at Old World – Kids 5 and under FREE, kids 6-12 $3, Adults $10. Doggie dressup, kids costume contest, games, food, races and more! Halloween Poster Magic Spooktacular – October 28 (1:00pm – 3:00pm) at Bella Terra. Join the Amazing Dave for a spooky good time and Halloween Magic, pumpkin juggling, tons of audience participation and a guest appearance from Frankenstein himself! After the show head on into the craft room to decorate a free take home pumpkin (first 75 kids) and be entertained by balloon twister. Kids Club: Our Little Pumpkin Patch – October 29 (10:30am – 11:30am) at Bella Terra – FREE! Enjoy pumpkin story time, a petting zoo, a pumpkin patch, pumpkin decorating and kids costume parade! Be sure to RSVP HERE. Halloween Fest – October 31, (4:00pm – 8:00pm) at Main Street Huntington Beach AND 5th and PCH. All kids activities are FREE! The spooky festivities include trick-or-treating, pony rides, a petting zoo, games, entertainment, kids and canine costume contests, and more. Kids costume contest begins at 5:00 pm; canine howl-o-ween costume contest begins at 6:30 pm at The Strand. TRICK OR TREAT at Bella Terra – October 31 (3:30pm – 5:30pm) at Bella Terra – All little goblins, monsters, princesses and warriors come show off your costumes and enjoy safe Halloween trick-or-treating center-wide at Bella Terra. HB Haunted House – October 27 & 31 (after dark) 5631 Serene Drive, Huntington Beach. – FREE! Come get the bejeebies scared out of you at this haunted house! Bring kids at your own discretion. Hauntington Beach Manor – October 5-31st FRI and SAT nights only (7:00pm – 10:00pm) 9631 Sailfish Dr, Huntington Beach. Blood born virus, zombie apocalypse, voodoo witch doctors, dead forest and a center of disease control… all things that have inspired this haunted manor. Come at your own risk! All proceeds go to charity. Castle Haunted Mansion – October 31 (5:55 PM – 10:55 PM), 9001 Bermuda Drive, Huntington Beach. One night a year the Castle Mansion opens its haunted doors to to the public. Come experience the spookiest haunted house in town! FREE! Recommended for ages 8+. Let us know if you have anything to add to our spooky ooky list! We’d love to feature you Huntington Beach! ps.. Pumpkin Donuts anyone? 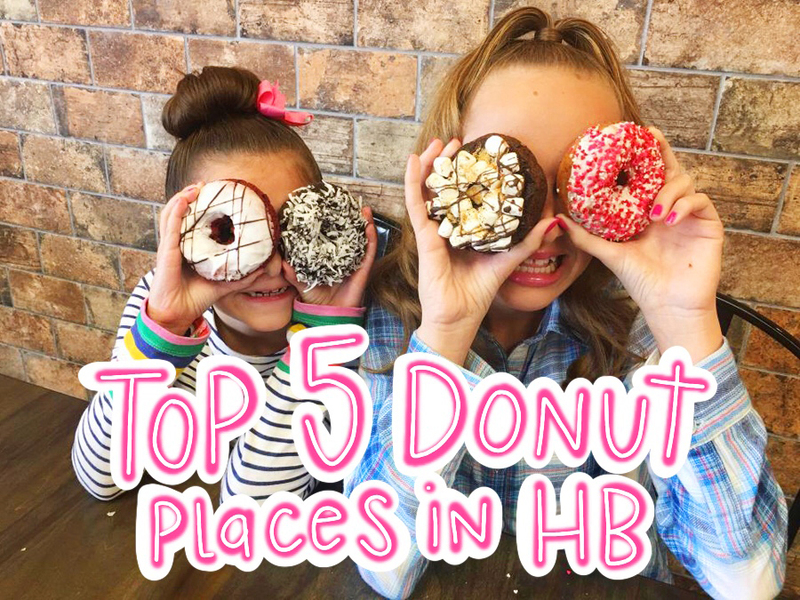 Check out our Top 5 Donut Places in Huntington Beach HERE and let us know who has the best Fall Donuts! « FREE BLOWOUT from Del Sol Salon in Huntington Beach! Love to see what is available each month at Huntington Beach for future family visits. You all need to be available in travel agencies or the City Web page.